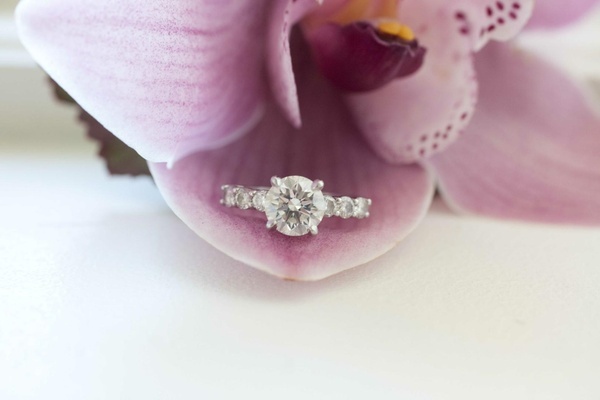 When Jay Hurley bravely asked Ashley Wentz’s father for his daughter’s hand in marriage, the timing was a little tricky. 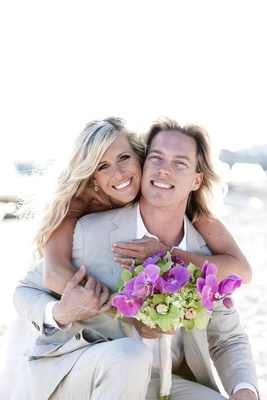 “We were at lunch with her dad and I hadn’t gotten any time alone with him,” explains Jay. 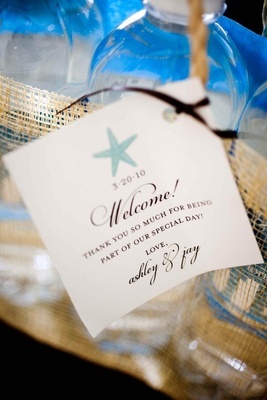 “I had to wait for her to leave the table before I could bring it up, and I was so nervous!” The sweet request was met with a blessing and supportive words; and not long afterwards, Jay took Ashley on a trip to Key West where he romantically proposed near the harbor at sunset. 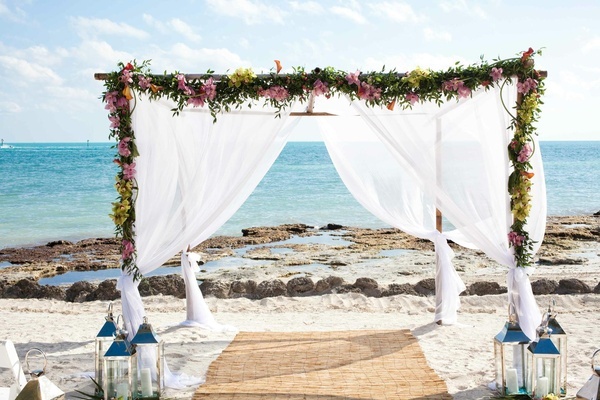 Since Ashley and Jay wanted to get married on the beach, Key West seemed the perfect locale, especially because of its special significance. 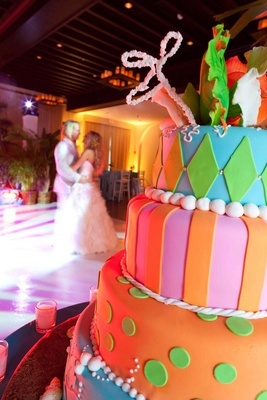 “Key West is a great place for all kinds of folks, and there is something for everyone to do there,” describes Jay of their wedding destination. 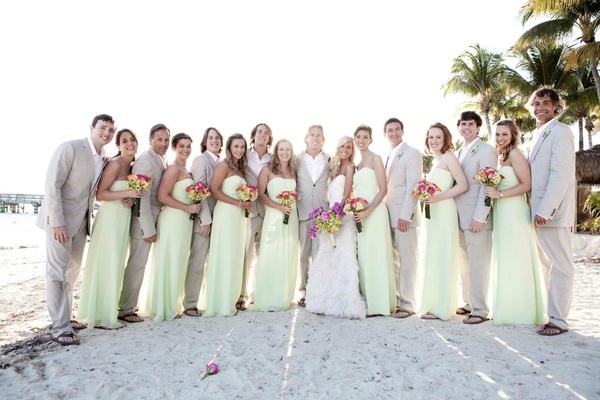 The couple visited Casa Marina – a luxurious waterfront resort – and loved it. 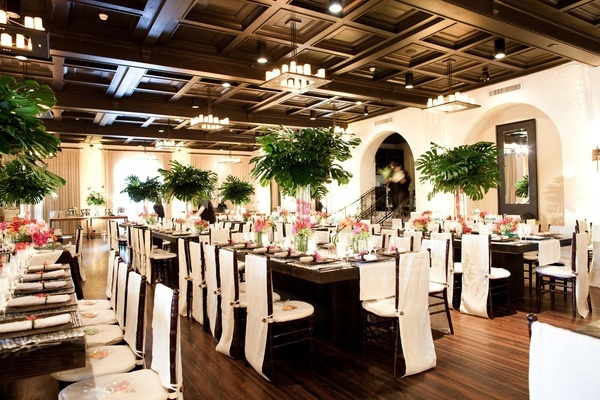 Ashley wanted the ballroom of their chosen venue to be a blank canvas without the task of working around wallpaper and carpet designs. 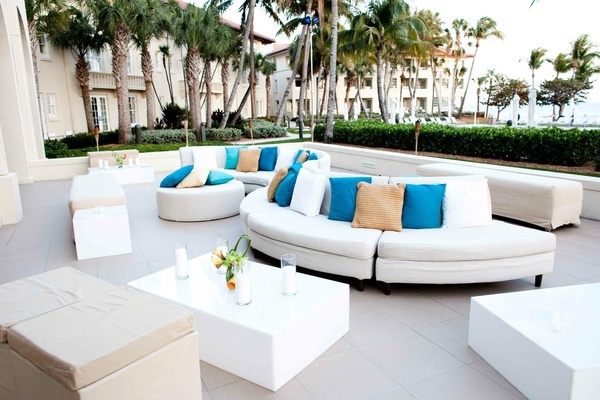 “Casa Marina’s off-white walls, dark hardwood floors, and flowing ivory curtains were perfect,” recalls the bride. 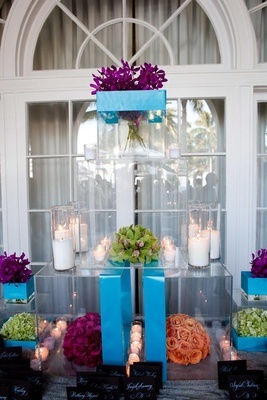 The beach-loving bride aimed for a tropical theme and was fixed on having tall palms as centerpieces. 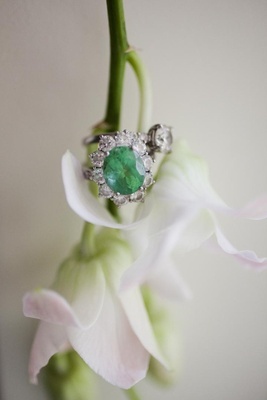 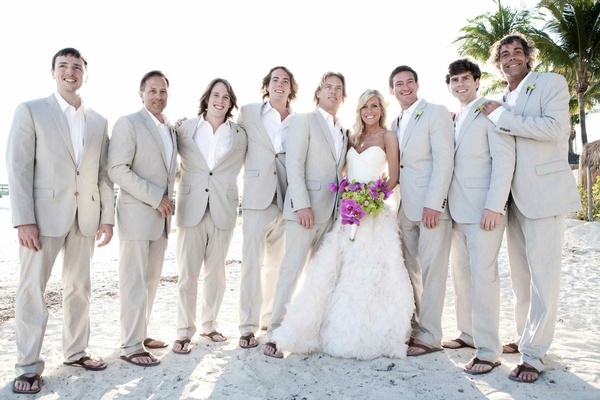 “I wanted guests to feel as if they were sitting under a palm tree,” describes the bride. 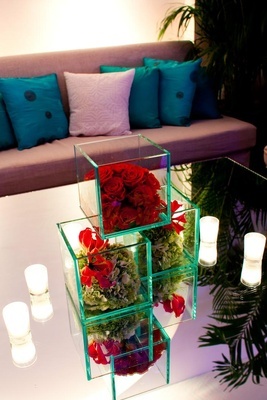 With that concept in mind as inspiration, Ashley concentrated on natural décor elements and chose a punchy palette of bright pink, tangerine, aqua, and shades of green for the event. 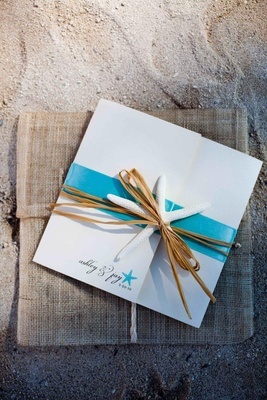 A sophisticated, beach-worthy invitation suite was created that incorporated a seashell motif and raffia ties. 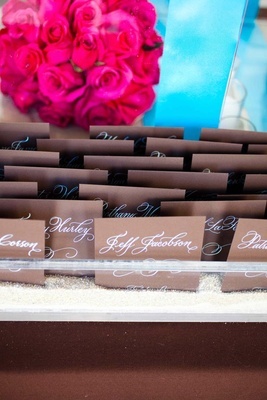 Matching programs and other stationery were also customized for the couple, so that the invitation theme could be seen throughout the celebration. 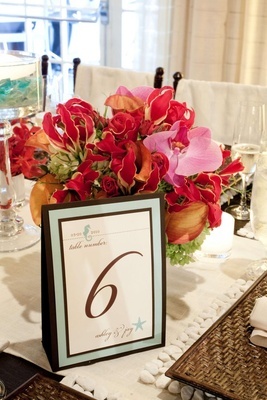 The dinner ballroom was set with a collection of rectangular wooden tables that were adorned with placemats and runners in lieu of typical tablecloths. 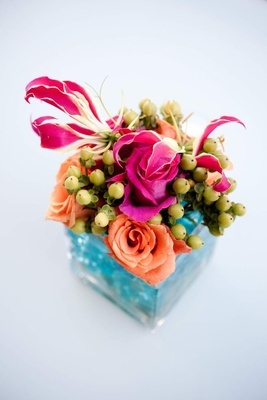 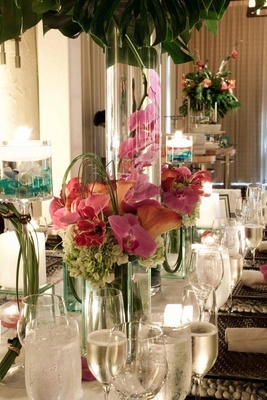 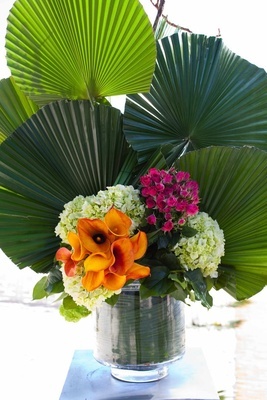 Centerpieces were full, lush, and colorful, and the room lent a tropically elegant vibe. 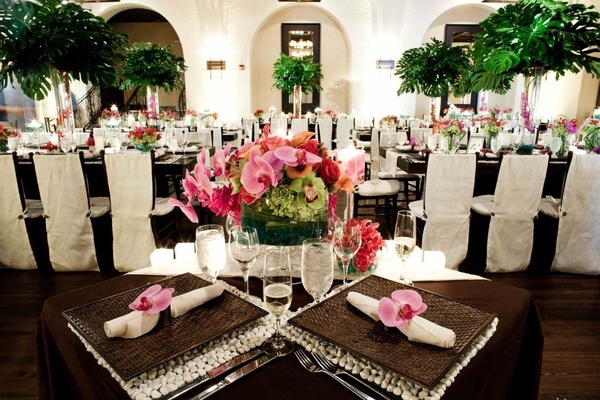 Tall palm arrangements were also placed on tables with groupings of candlelight that complemented the amber lighting of the space. 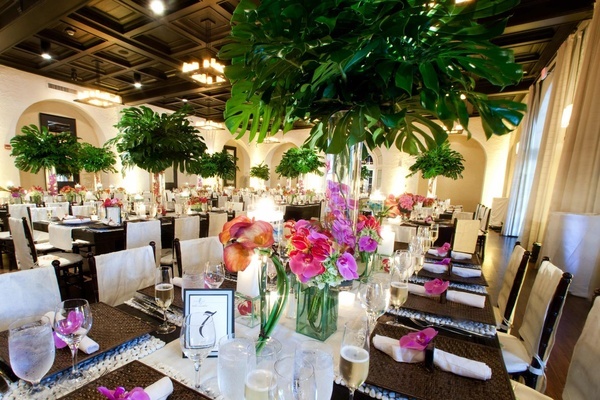 The second ballroom meant for dancing and drinking offered a more energetic feel with aqua and blush lighting, a white dance floor, a lounge area, and even more creative arrangements of palms.